After two years, BMW India has revived the petrol variant of the 3-Series, the 320i, in two variants. It is priced at Rs 36.9 lakh for the base Prestige trim, while the top-end Luxury Line is priced at Rs 42.7 lakh (all prices are ex-showroom Delhi). The BMW 320i is powered by a turbo-charged four-cylinder engine, which puts out 184PS of power and 270Nm of torque. This engine will come mated to an 8-speed transmission. BMW claims that the 320i will go from 0-100kmph in 7.3 seconds, with a top speed of 235kmph and a 50:50 weight distribution. For improved efficiency, the BMW 320i will get features like Eco Pro mode, auto start-stop system and a brake energy regeneration system. What's odd, however, is that the BMW 320i will be sold as a CBU (Completely Built-up Unit). Meanwhile, its diesel sibling, the 320d, is being assembled at the Chennai plant. 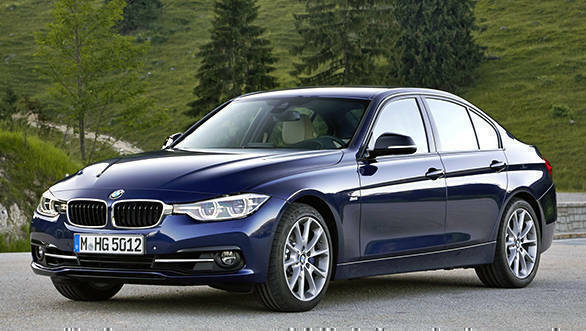 At Rs 35.9 lakh (ex-Delhi), the BMW 320d's Prestige variant is a lakh cheaper than its petrol sibling. The BMW 320i's main rivals will be the petrol Mercedes Benz C200 priced at Rs 39.5 lakh (ex-Delhi), the Audi A4 35 TFSI, which costs Rs 34.9 lakh (ex-Delhi) and the petrol Volvo S60 T6 at Rs 40.25 lakh (ex-Delhi). While the C-Class and the A4 are locally assembled, the S60, like the BMW, is sold as a CBU in India.